The Coyote Raft Bimini from 4 Corners Riversports takse the bite out of the desert sun. We tested it on a six-day, 100-degree raft trip down Utah’s Desolation/Gray Canyons, and came away calling it a lifesaver. While the large umbrellas on all the other five rafts had to be folded up in the wind (with two breaking), the Coyote Bimini kept us – and equally important, our precious ice coolers – made in the shade. 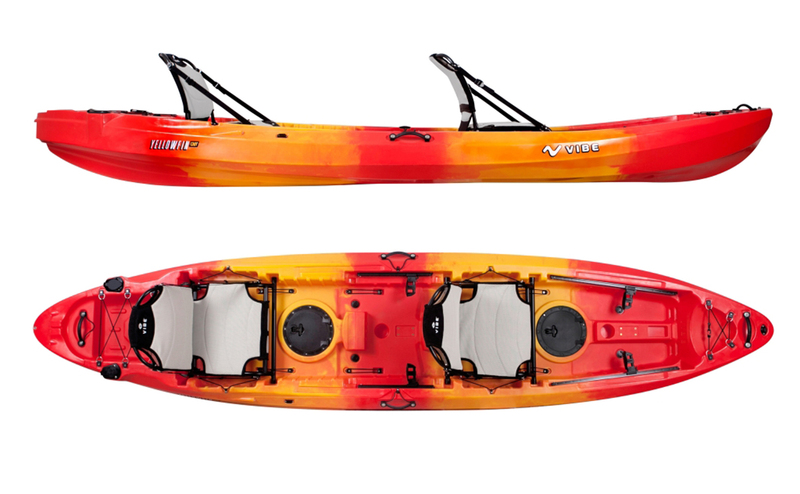 The key to its bombproofness is three aluminum arms that extend up and over the rowing area and fasten on each corners to male-ended cam straps coming off the frame. This makes them not only uberly secure, but infinitely adjustable. Raft angle change and sun now at your back? Loosen the front and tighten the stern. Kid or spouse whining up front because their toe’s in the sun? Like a mullet, loosen the back and tighten the front. We found it the perfect clothes drying rack for everything from shorts to towels, and it offered great nooks to hang sunglasses and ballcaps (who cares it made us look like something out of Sanford and Son). It also worked great in the rain when a sudden squall had everyone else pulling out raincoats. Sized to fit any raft frame 48-78″ wide, each arm is made of double-walled 7/8″x.058” satin anodized aluminum tubing, eliminating oxidation, with each bend reinforced with 3/4″x 058” drawn mill aluminum tubing. The only thing stronger is your horseshoe stakes. The frame joints are held together with 1/4″ stainless steel button clips, letting you easily remove it from your raft for storage or transport. When collapsed it’s about 66 inches long. 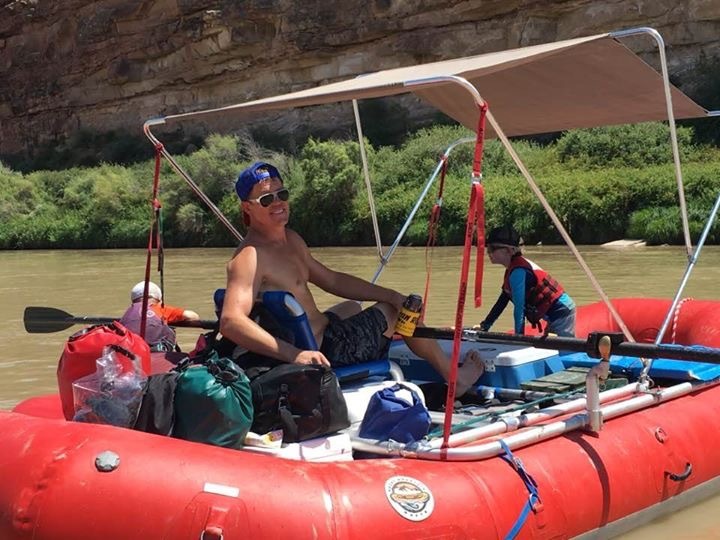 It adds 18 lbs to your raft, but that’s paltry compared to the sun blisters you’ll avoid. I’m not sure why it took me so long to wear a helmet with a face guard on our local Class V Fish Creek, especially when all the younger bucks were doing so, but this year I showed up in Sweet’s Rocker Half Cut and immediately felt better protected than ever (not that I wanted to tip over). It’s built from Sweet’s Thermoplastic Laminated Carbon (TLC) shell technology, combining the elasticity of injection-molded thermoplastic with the rigidity and strength of carbon fiber. All this means they can fine-tune it, like you your line through a rapid. It’s softer in the crown area, which is better for impacts due to its rigid spherical geometry, and stiffer along the sides where the more angular parts of your noggin’ benefit from the rigidity of carbon fiber.